This recipe is a take on others I’ve posted before but with an ingredient that I haven’t used up until now. It’s another simple recipe. As ever, start by adding water to your blender. 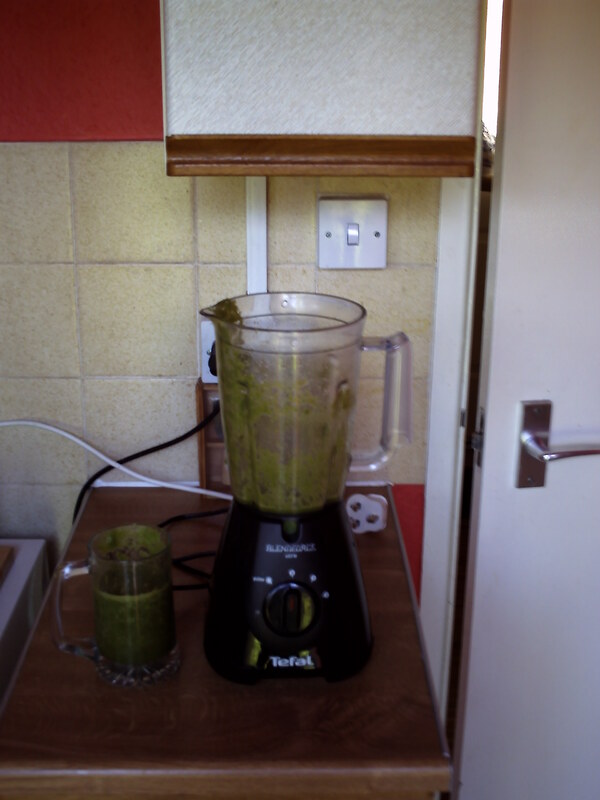 Then in no particular order, chop your apple and ginger and add celery, spinach and cucumber. This time we are also going to add some curly kale. Use whatever amounts take your fancy and give it all a good whizzing. Then stick a little umbrella in the top and a straw (preferably one of the bendy ones, it will make it taste better) and imagine you are laying on a beach somewhere in paradise. If you are now wondering where you are, you have just entered Juice Utopia; oh yes!! !